Interior cork surface that is 60" x 48" for tacking printed material. 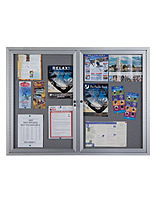 Durable aluminum frame with silver finish. Swinging acrylic doors with lock. Enclosed fixture mounts directly to the wall with included hardware. Z-bar wall mounting - requires two person lift. Click here for Wall-Mounting Instructions. 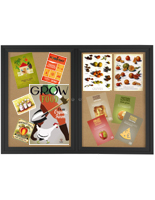 These framed corkboards are ideal for posting messages, memos, schedules, artwork, and signs. 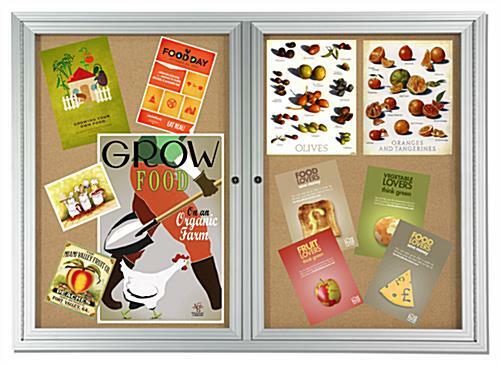 Posters can easily be tacked to this cork display with push pins and thumb tacks. 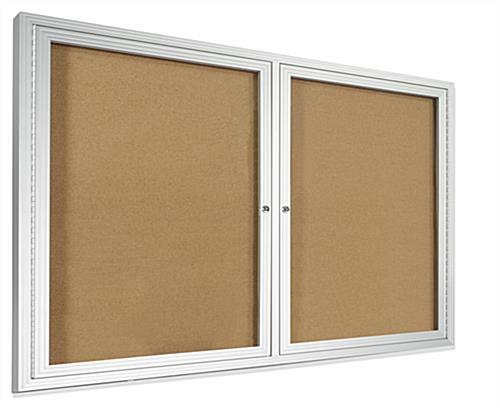 Framed corkboards, with swinging doors, are constructed with a self-healing backboard. The cork surface has a natural color surface. 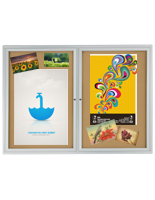 These framed corkboards, with a silver anodized frame, can be tacked to over and over again without damaging the surface. The 5’ by 4’ cork display is great for high traffic locations. All framed corkboards, that are acrylic, have a large interior. The space provides users the ability to post several messages at one time. 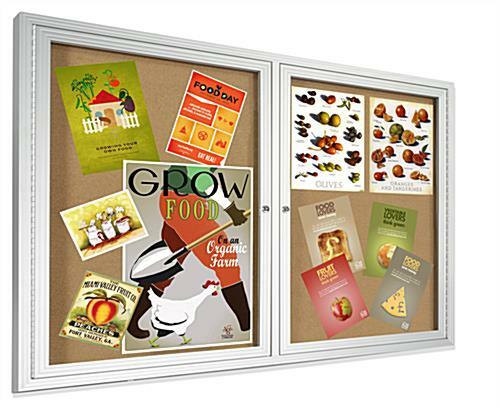 Framed corkboards, that are 5’ by 4’, are a great purchase for indoor establishments. This cork display is ideal for schools, offices, libraries, and many more! 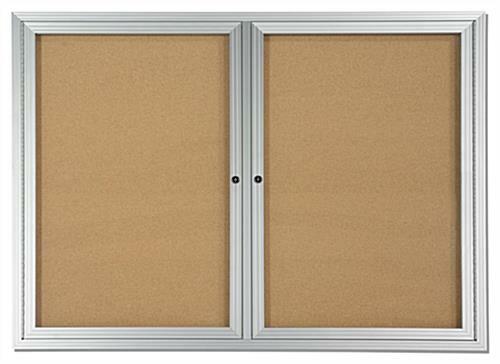 The swinging doors allow users to easily change out information tacked to these framed corkboards, also known as tackboards. Two sets of keys are included with this unit. 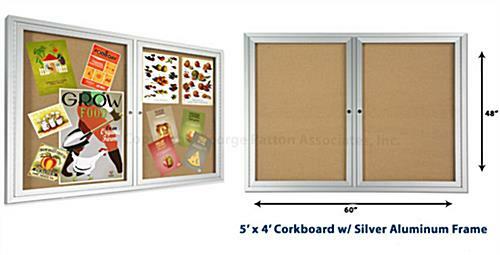 The swinging doors of these framed corkboards, that are a cork display, easily lock and unlock for a secure tackboard. 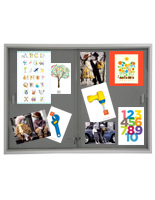 The silver frame and acrylic panels will complement any environment the pinboard is placed in. Each tackboard easily mounts to the wall by securing the back brackets. Cork displays, framed corkboards have two sections that can be used to convey news, important information or announce upcoming events. 58.0" x 48.0" x 2.0"